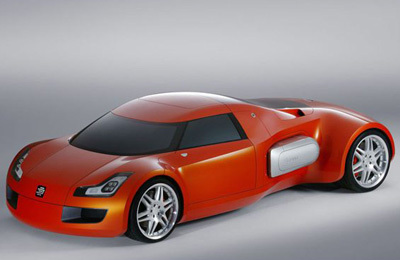 The EDAG GenX concept from the 2004 Geneva Motor Show is a creation from Germany based design consultancy EDAG. The GenX is a sports car designed for the modern busy lifestyle, which sees more people working on the move. More than ever before. 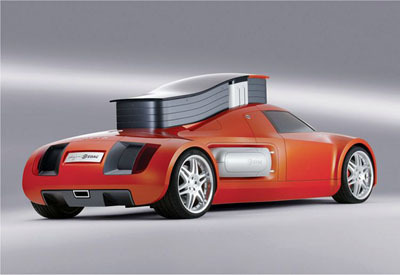 The GenX is the first genuine sports car which incorporates a full bed into the design. Use of the bed is enabled by enlarging the interior space by raising the roof via an electric motor. The exposed external side pods are actually removable luggage modules which can be detached and carried separately. 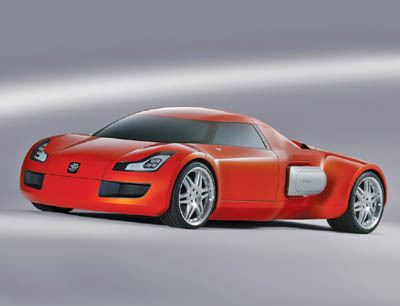 Unfortunately due to the small market opportunities it is highly unlikely that EDAG's GenX will ever reach production. For other working lifestyle concept vehicles see the GMC PAD.